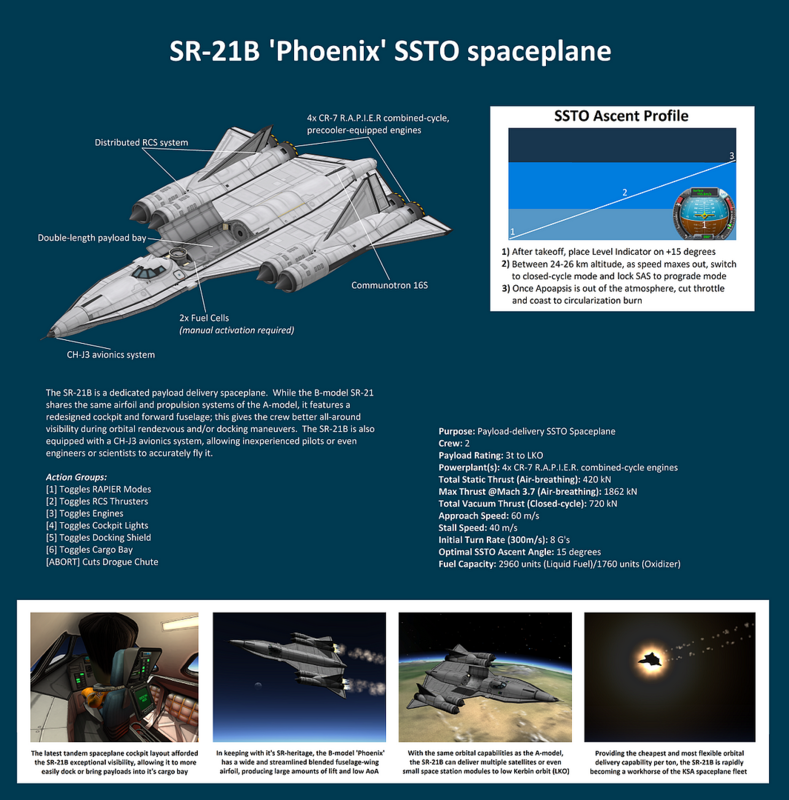 The SR-21B is a dedicated payload delivery spaceplane. While the B-model SR-21 shares the same airfoil and propulsion systems of the A-model, it features a redesigned cockpit and forward fuselage; this gives the crew better all-around visibility during orbital rendezvous and/or docking maneuvers. The SR-21B is also equipped with a CH-J3 avionics system, allowing inexperienced pilots or even engineers or scientists to accurately fly it.